Bu çalışmada; mekanik özelliklerinin yüksek, korozyon direnci iyi olması ve düşük ısıl iletkenlikleri ile imalat sektöründe önemli bir kullanım sahasına AISI 316Ti paslanmaz çelikler deney malzemesi olarak kullanılmıştır. Tornalama da ilerleme oranının, talaş derinliğinin ve soğutma sisteminin yüzey pürüzlülüğüne ve kesme kuvvetlerine etkisi araştırıldı. Deneylerde 0.1, 0.2 ve 0.3 mm/dev ilerleme oranı, 0.5, 1 ve 1.5 mm talaş derinliği ve kuru, MQL ve CO2 işleme parametreleri değişken olarak kullanılmıştır. Kesme hızı sabit tutulmuştur. Tornalama işleminin deneysel tasarımı için Taguchi tekniği kullanıldı. Bu teknik sayesinde az sayıda yapılan deneyle optimum değerler elde edilmiştir. Ayrıca en iyi parametre seviyelerinin belirlenmesi için Gri İlişki analizi metodu kullanıldı. En ideal GRA değeri 0,994 olarak 1’nolu deneyden elde edilmiştir. Buna göre en düşük yüzey pürüzlüğü ve kesme kuvveti için talaş derinliği ve ilerleme değerlerinin minimum tutulması gerekmektedir. In this study; AISI 316Ti stainless steels have been used as test materials because of their use in the manufacturing sector with high mechanical properties, good corrosion resistance and low thermal conductivity. The effect of feed rate, cutting depth and cooling technique on surface roughness and cutting forces were investigated. In the experiments 0.1, 0.2 and 0.3 mm /rev feed rate, 0.5, 1 and 1.5 mm cutting depth and dry, MQL and CO2 cooling conditions were used variably. Taguchi technique was used for the experimental design of the turning process. Cutting speed was kept constant. Taguchi technique was used for the experimental design of the turning process. By way of this technique, optimum values were obtained with few experiments. In addition, Grey Relational Analysis (GRA) method was used to determine the optimal parameters level. The optimal GRA value was obtained from experiment number 1 as 0.94. Accordingly, for the lowest surface roughness and cutting force, the cutting depth and feed rate values should be kept to minimum. Kosa,T., Ronald, P., “Machining of stainless steels”, Handbook: Machining, Vol. 16, 9th Edition, Editor: J. R. Davis, Metals Park, Ohio, 1989. M’Saoubi, R., Outeiro, J.C., Changeux, B., Lebrun, J.L., Dias, A.M., “Residual stress analysis in orthogonal machining of standard and resulfurized AISI 316L steels”, Journal of Materials Processing Technology, vol.96, pp. 225-233, 1999. Darwin, J.D., Lal, D.M., Nagarajan, G., “Optimization of cryogenic treatment to maximize the wear resistance of 18%Cr martensitic stainless steel”, Journal of Materials Processing Technology, vol.195, pp. 241-247, 2008. Outeiro, J.C., Umbrello, D., M’Saoubi, R., “Experimental and numerical modelling of the residual stresses induced in orthogonal cutting of AISI 316L steel”, International Journal of Machine Tools and Manufacture, vol.46, pp. 1786–1794, 2006. Agrawal, B.K., Introduction to Engineering Materials, Mc Graw-Hill Publishing Co., New Delhi, 1983. Maranhao, C., Davim, J.P., “Finite element modelling of machining of AISI 316 steel: Numerical simulation and experimental validation”, Simulation Modelling Practice and Theory, vol.18, pp. 139–156, 2010. Korkut, I., Boy, M., Karacan, I., Seker, U., “Investigation of Chip-back temperature during machining depending on cutting parameters”, Materials and Design, vol.28, pp. 2329–2335, 2007. Ciftci, İ., “Machining of austenitic stainless steels using CVD multi-layer coated cemented carbide tools”, Tribology International, vol.39, pp. 565–569, 2006. Tekaslan, Ö., Gerger, N., Günay, M., Şeker, U., “AISI 304 östenitik paslanmaz çeliklerin titanyum karbür kaplamalı kesici takım ile tornalama işleminde kesme kuvvetlerinin incelenmesi”, Pamukkale Üniversitesi Mühendislik Bilimleri Dergisi, vol.13, pp. 129-286, 2007. Tekiner, Z., Yeşilyurt, S., ‘’Investigation of the cutting parameters depending on process sound during turning of AISI 304 austenitic stainless steel’’, Materials and Design, vol. 25, pp. 507–513, 2004. Li, S., Liu, Y., Zhu, R., Li, H., Ding, W., “Study on turning parameter optimization of austenitic stainless steel”, Applied Mechanics and Materials, 34-35, pp. 1829-1833, 2010. 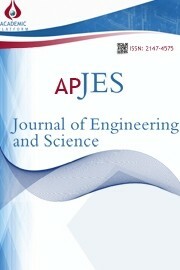 Selvaraj, D.P., Chandramohan, P., “Optimization of surface roughness of AISI 304 austenitic stainless steel in dry turning operation using Taguchi design method”, Journal of Engineering Science and Technology, vol.5 (3), pp. 293-301, 2010. Diniz, A.E., Ferreira, J.R., Filho, F.T., “Influence of refrigeration/lubrication condition on SAE 52100 hardened steel turning at several cutting speeds”, International Journal of Machine Tools and Manufacture, vol.43, pp. 317–326, 2003. Kishawy, H.A., Dumitrescu, M., Ng, E.G., Elbestawi, M.A., “Effect of coolant strategy on tool performance, chip morphology and surface quality during highspeed machining of A356 aluminum alloy”, International Journal of Machine Tools and Manufacture, vol.45, pp. 219–227, 2005. Dhar, N.R., Kamruzzaman, M., Ahmed, M., “Effect of minimum quantity lubrication (MQL) on tool wear and surface roughness in turning AISI-4340 steel”, Journal of Materials Processing Technology, vol.172, pp. 299–304, 2006. Itoigawa, F., Childs, T.H.C., Nakamura, T., Belluco, W., “Effects and mechanisms in minimal quantity lubrication machining of an aluminum alloy”, Wear, vol.260, pp.339–344, 2006. Dhar, N.R., Islam, M.W., Islam, S., Mithu, M.A.H., “The influence of minimum quantity of lubrication (MQL) on cutting temperature, chip and dimensional accuracy in turning AISI-1040 steel”, Journal of Materials Processing Technology, vol.171, pp. 93–99, 2007. Ezugwu, E.O., Bonney, J., Da Silva, R.B., Çakır, O., ‘’Surface integrity of finished turned Ti–6Al–4V alloy with PCD tools using conventional and high pressure coolant supplies’’, International Journal of Machine Tools & Manufacture, vol.47, pp.884–891, 2007. Attanasio, A., Gelfi, M., Giardini, C., Remino, C., “Minimal quantity lubrication in turning: Effect on tool wear”, Wear, vol.260, pp. 333–338, 2006. Bruni, C., Forcellese, A., Gabrielli, F., Simoncini, M., “Effect of the lubrication-cooling technique, insert technology and machine bed material on the workpart surface finish and tool wear in finish turning of AISI 420B”, International Journal of Machine Tools and Manufacture, vol.46, pp.1547–1554, 2006. Liu, J., Han, R., Sun, Y., “Research on experiments and action mechanism with water vapor as coolant and lubricant in Green cutting”, International Journal of Machine Tools & Manufacture, vol.45, 687–694, 2005. M. Stanforda, P.M. Listerb, , C. Morgana, , K.A. Kibblea, “Investigation into the use of gaseous and liquid nitrogen as a cutting fluid when turning BS 970-80A15 (En32b) plain carbon steel using WC–Co uncoated tooling”, Journal of Materials Processing Technology, vol. 209, Issue 2, pp. 961–972, 19 January 2009. Phillip J. Ross, Taguchi Techniques for Quality Engineering, 1996. G. Basmacı, “Tornalamada Minimum Miktarda Yağlama (MQL) Tekniğinin Takım Ve Iş Parçası Üzerine Etkilerinin İncelenmesi”, Doktora Tezi, Marmara Üniversitesi Fen Bilimleri Enstitüsü, İstanbul, 2012. M. Ay, Acta Physica Polonica A, 131(3), 349-353, (2017), Doi: 10,12693/ APhysPolA. 131349. G. Basmacı, M. Ay, Acta Physica Polonica A, 131(3), 354-358, (2017). Doi: 10.12693/APhysPolA.131.354. G. Basmacı, M. Ay, İ. Kırbaş, “Optimisation of Machining Parameters ın Turning 17-4 Ph Stainless Steel Using the Grey-Based Taguchi Method”, Erzincan University Journal of Science and Technology, vol.10-2, pp. 243-254, 2017.